…and if yes, can we learn them? Futurologists claim that we are entering the era of pet translation. 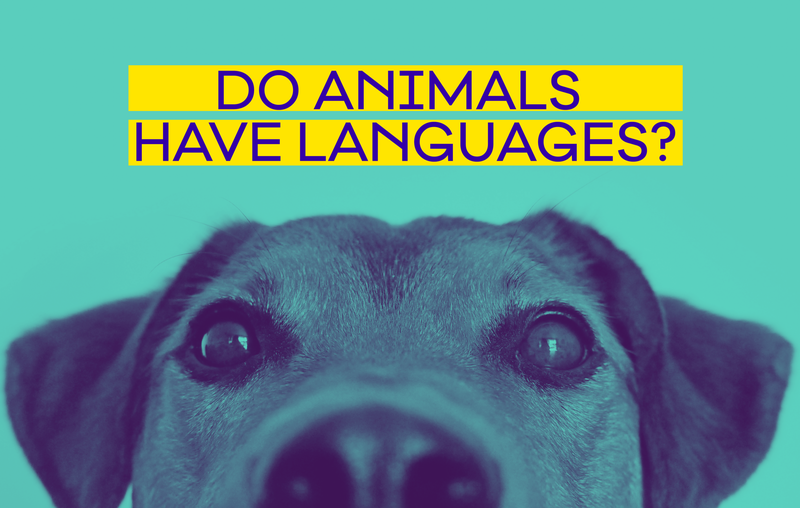 Who didn’t wonder what their beloved pet was trying to communicate through its barks and mews? Just imagine yourself as Dr Doolittle for a while, casually chatting about lunch with a python? For the respected futurologist William Higham of the Next Big Thing, talking to dogs and co. seems to be less than 10 years away. His findings have been published in a trend report done for Amazon, as part of the tech giants new online store release, Shop the future. Right now, Amazon started selling a human to cat translator, which transforms your voice into existential miaows. Apparently, the gadget has sampled the sounds of over 25 cats and promises a closer relationship with your furry baby. Still, reviewers took to Amazon to describe how their cats seem puzzled, bored or angry, rather than excited and communicative. Then again, cats have always been passive-aggressive a**holes (❤), so one might never know if they actually get the translation and just choose to not reply. Meanwhile, some other guys from a small research Scandinavian research lab tried developing a device called No More Woof, for human to dog translation. This should work better right? Since, man’s best friend likes to communicate in so many variations, but unfortunately nope! The project came to a grinding halt due to the complexity of the task which included a wearable device for dogs which used micro-computing and EEG to analyze animal thought patterns. Furthermore, William Higham pointed to Con Slobodchikoff, professor emeritus at the department of biological sciences at Northern Arizona University, who is something like a Dr Doolittle for North American prairie dogs and has studied the furries for more than 30 years. So these tiny dudes seem to be really special when it comes to communicating amongst each other.Prairie dogs can squeak in a different variation and the good doctor studied their noises for decades to conclude that they for a very sophisticated language. So much so, that if observed by researchers, the little furry dudes started to change their vocalizations as if afraid to not be over-heard or spied upon by humans. Slobodchikoff is furthermore convinced that this pattern does not only apply to prairie dogs, but can be observed in dogs and cats as well. Which is why he started raising funds for developing a decoding system of animal to human. Other scientists studying communication patterns amongst animals, might not be as ready as Slobodchikoff to say animals use a translatable language, yet the consensus grows that animals use a sort of pseudo-language. And some stunning animals even manage to communicate with humans directly, like the example of ravens being able to discern letters or primates communicating through sign language. Consensus grows that the release of pet translators is only a matter of time and not so much of possibility. Through Zoolingua Slobochikoff is trying to put together an extensive database, covering the language of animals. He is then inputing all the info into a machine learning algorithm that should be able to draw analogies to verbalisations in English and translate the pet talk at the end. Furthermore, Zoolingua will be using data that comes exclusively from scientific experiments which quantifies the meaning of animal communication. Ten years should be more than enough time for us to figure out how to talk to our pets. Beluga helps fast-moving companies to translate their digital contents. With more than a decade of experience, professional linguists in all major markets and the latest translation technology at use, Beluga is a stable partner of many of the most thriving enterprises in the technology sector. The business goal: To help fast-growing companies offer their international audiences an excellent and engaging user experience.